Click here to obtain a form for an energy saving prediction, or contact us for a free site survey. 1. What do Industrial Water Softeners do? Remove calcium and magnesium ions (hardness) from the water and put sodium ions in their place. This produces water that won’t form scale on hot surfaces or foul RO membranes. 2. What part does salt play in this process? so that it can then start softening again. During the regeneration, the softening process is reversed and calcium and magnesium salts are flushed away to drain. 3. How does a water softener know when to regenerate? The regeneration is controlled by either a timer or a water meter. When the set time or volume is reached, the regeneration sequence is initiated. 4. How much salt is used each time the water softener regenerates? This depends on the volume of ion exchange resin in the softener. Generally about 1.2kg salt per 10 litres of resin. 5. How much water will the water softener produce between regens? Again, it depends on the resin volume and also the hardness of the raw water. 6. How much water is required to regenerate the water softener? As a rule of thumb, about 6 times the volume of resin. 7. 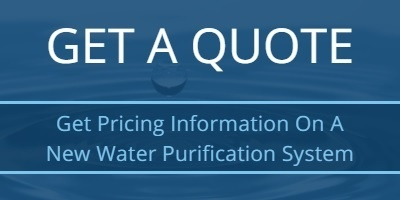 What services are required to operate a water softener? A 240v power supply, raw water of sufficient flow and pressure (2bar is the absolute minimum and 3bar is better) and a drain. 8. Does having a water softener save me any money? It depends on the application. If the water is feeding a steam boiler or other hot process or and RO system, soft water will prevent scale in the boiler and fouling of the RO membranes, giving major savings in energy, maintenance and costly reverse osmosis membranes.